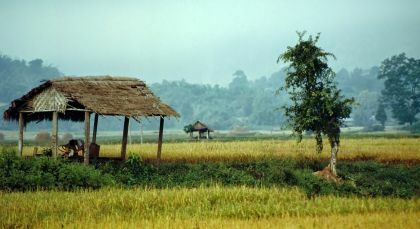 Discover an imposing cultural heritage and timeless landscapes in Central and East Myanmar. Soak in the serenity of idyllic villages, enjoy authentic local experiences and take a nostalgic railway ride across the famous Goteik Viaduct on this private tour of Myanmar. Mandalay is Myanmar’s royal capital and lies in the northern heart of the country, on the eastern bank of Irawaddy River. Monywa is a charming small town located on the eastern bank of the Chindwin River. Experience intense Buddhist iconography! Delve into the famous Thanboddhay Pagoda, a 14th century temple that boasts a huge stupa and almost 600,000 Buddha figures in varying poses. Visit the Phowintaung (Hpo Win Daung) cave complex located across the Chindwin River which has over 400, 000 Buddha statues. Witness a most scenic view at Maha Bodhi Tahtaung, where you can witness over a thousand bodhi trees and Buddha trees in one sprawling space. it also boasts the second tallest statue in the world, as well as a 95 meter long reclining Buddha statue. Bagan is an ancient royal city brimming with history that dates back to the 2nd century. Pedal away and explore the ancient sites of Bagan in a charming fashion. Choose to cycle a regular bike, or an electric bike for extra oomph! This is one of Southeast Asia’s most spectacular archaeological sites and some 2,000 temples and pagodas await you, including the renowned Ananda Temple. The ruins may be small but they are beautiful and visible with towering stupas and stunning painted murals. To reach them will take you through dusty tracks, local villages and fields, as you observe daily life along the way. You can also stop off at a traditional lacquerware workshop to observe this traditional Burmese craft! This activity is suitable if you enjoy cycling and are moderately fit. Please stow your valuables in your hotel safety deposit bow before you head out. After breakfast climb aboard a traditional, wooden boat to cross the Irrawaddy River where a jeep awaits for your onward journey. Discover local artisans when you visit Thezin village, where you can witness some cane weaving of plates and tissues boxes, Htan Taw Kyauk village (where baskets are weaved from palm tree leaves) and Ey Shey village with its cotton weaving factory. After seeing the rural side of Bagan, travel to Taunt Kyi Taung pagoda which was built by King Anawrahta and dates to the 11th century. Explore the pagoda complex and admire wonderful views of the Irrawaddy River. 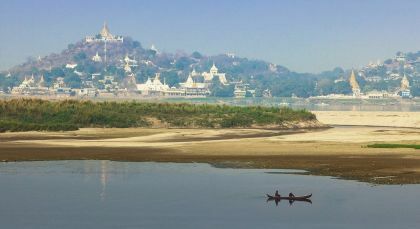 On a clear day you can see the temples of Bagan on the opposite side of the river. Come back to your hotel by jeep, boat and car in the late afternoon. 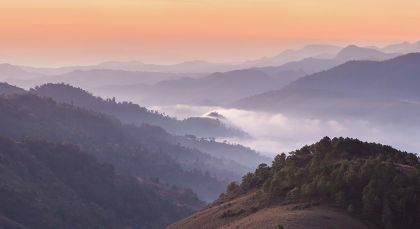 Surrounded all over by pine forests the small hill station of Kalaw is an ideal destination for nature lovers and hikers. Post breakfast, embark on a 3hr trek to Ywarthit Village via aromatic pine trees, grazing livestock and see tribal agricultural activities like tea planting, sesame crops, etc. Enjoy a local village lunch and trek about 30min to Taryaw Palaung Village. See Sebastian leaf plantations used in cheroot making and also tea leaf making process. Visit a monastery. primary school and Palaung traditional long house where dozens of families live together. On return, see the bamboo Buddha Image. 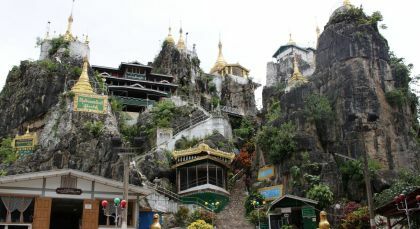 The beautiful town of Loikaw is located at the northernmost tip of the Kayah State in Myanmar. Loikaw is brimming with culture. On Wednesdays and Saturdays you can experience the colorful Demawso Market, where different ethnic groups come together in traditional outfits and sell their wares. 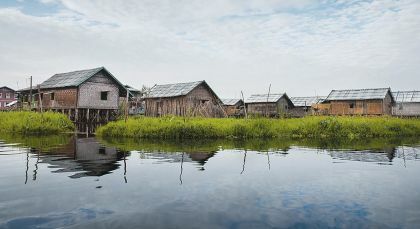 Explore Sam Boon village, inhabited by the Padaung people who adorn copper neck rings. Venture to a weaving center for an insight into making the native Kayar dresses. Enjoy lunch at a local restaurant. 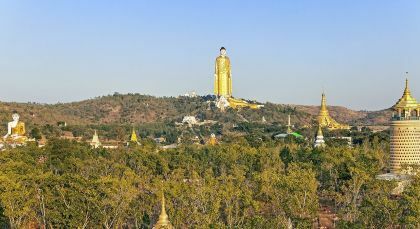 Discover the Shwe Let War Pagoda (Golden Palm Pagoda) with its scenic views across the valley, and the animist worship place of Tha Khon Tai, tucked amidst banyan trees. Thiri Mingalarpon monastery, the former palace of the Shan feudal chief is also well worth a visit as are, of course, the Thiri Mingala (Taungkwe) Pagodas. Scenic views and cultural encounters! On your way from Loikaw to Pekun, stop at Moe Byae to see authentic village life and Padaung women who are famous for their brass neck jewellery. At Pekun, a boat will take you on a picturesque 5.30 hour ride to Inle Lake, while you enjoy the beautiful scenery and verdant surroundings along the Bilu Creek. About 1.30 hours into the ride, stop at Thakhauk, which is known for its ancient monuments, insights into the Shan, Pa O and Intha races, and Lone Kan market. After lunch, visit pot-making and lotus-weaving villages before proceeding to Inle Lake. Inle Lake is a stunning and calm freshwater lake that lies 900 meters above sea level. An ASEAN heritage site, a prospective World heritage site and wildlife sanctuary, the magical, beautiful, azure Inle Lake lies ringed by the mist-shrouded Shan Hills..seemingly changing hues with every position of the sun. Enjoy a Half/Full Day bicycle exploraton around the iconic Inle Lake with several sights clustered around the lake edges..pass hilly mountains, vegetable farms, paddy fields, canals; see hot springs, colourful tribal markets and stilted houses. The Intha..who migrated here from southern Myanmar, built entire stilt villages on the lake and amazing ‘floating’ gardens to grow their crops..marvel at Intha fishermen who row flat-ended canoes with one leg while catching fish in conical baskets with their bare hands. Hsipaw is a town in Shan State, located on the banks of Dokthawaddy River and northeast of Mandalay. 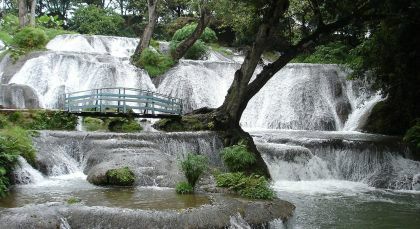 Pyin Oo Lwin is a verdant hill town surrounded by the Shan Plateau, east of Mandalay.